The owner of a worldwide distributor of reusable coffee cups wanted her sales staff to focus on selling, and free their time from keying in customer and reseller data in multiple systems. She also wanted B2B customers be able to order from the Magento website, as soon as the customer record is created in Dynamics NAV. New reseller stores created in NAV needed to be instantly available in Magento to present nearby stores to B2C website users. IT Manager himself developed a data integration between CRM and NAV, using Scribe adapters. But integration with Magento was much more complex and challenging. 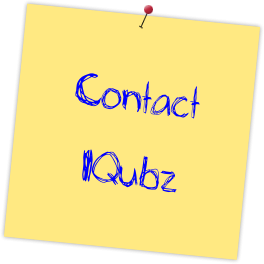 So, he contacted IQubz, Scribe Elite Partner and Magento data integration experts, for a two-way data integration between Dynamics NAV and Magento. This fully-automated, fail-safe, always-on, two-way data integration developed for two mission-critical systems ensures that customer addresses and contact information are current and accurate in Dynamics NAV and Magento at all times. A customer address added or updated in one system is instantly available in the other system. With this integration, a new store address added in ERP is instantly available for the Store Finder API of the website for B2C customers in Australia, New Zealand, United Kingdom and other European Union countries, United States and Canada. The solution is developed using Microsoft SQL Server and Scribe Software technologies.